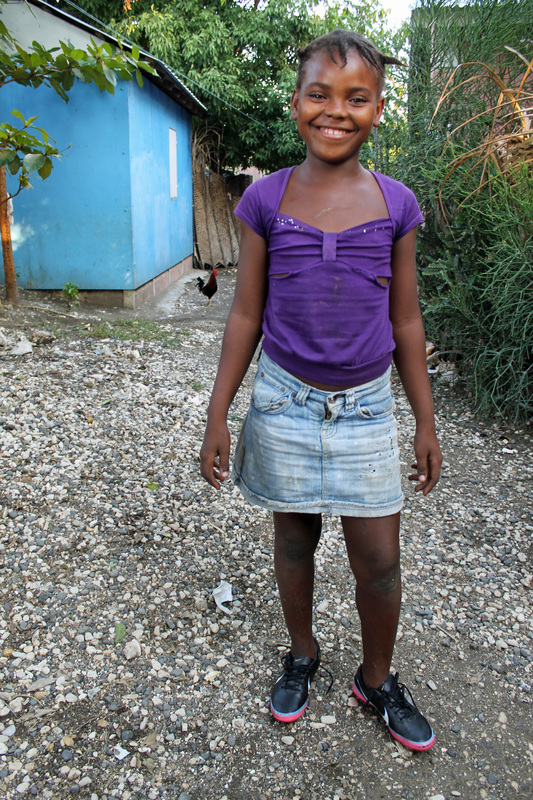 Kensia lost her mother in the 2010 earthquake. Her family lives on less than $2/day. 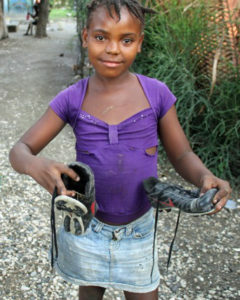 Kensia loves soccer but her family can't afford cleats. Immortal Soles cleats allow Kensia to play the sport she loves, which has a very powerful impact on her motivation to stay in school and off the streets. 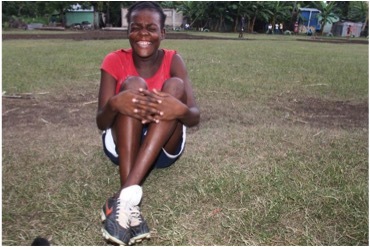 Kensia is very happy with her new cleats! She’s usually very serious – not a big smiler! She has a lot to smile about now that she has a pair of Immortal Soles cleats! GOALS Haiti has been working with Venise for a while. She had a baby at a very young age, but now, at 18, she’s back in school and a total inspiration on the field! Lidia’s family was devastated by the earthquake. Like many people in Haiti, Lidia’s mother ran a small business selling a few things to her neighbors and the market. But when her home was destroyed in the earthquake, her inventory was depleted, and there was no money to start all over again and purchase new inventory. Lidia is a strong soccer player and often plays goalie. She would love to play on the national team. We hope Immortal Soles cleats will help make this a reality!